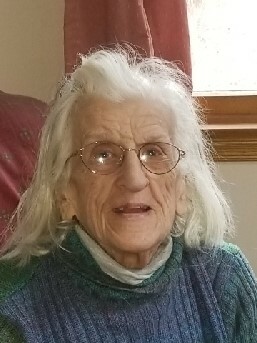 Helen Williams, 89, passed away peacefully Monday April 1, 2019 at Beeghly Oaks with her granddaughters by her side. Helen was born November 1, 1929 in Youngstown, Ohio, a daughter of Walter and Annie Aritinnia Rudinsky, she was a lifelong area resident. She graduated from The Ryan High School and had worked for many years in retail finally retiring from Hills department store. She was a house wife and enjoyed crochet, coloring books and word puzzles. Helen married the love of her life, her husband David Williams December 20, 1956, sadly he passed away December 26, 1982. She leaves to cherish her memory her granddaughters Veronica A. “Ronnie” Murberger (Chris Beizel) of Boardman and Amanda L. (Robert) Simione of Lowellville and her great- grandson Spencer Simione. Besides her parents and her husband Helen was preceded in death by her daughter Kathleen JoAnn Murberger who passed July 8, 2017 and her siblings, brothers Walter, Victor, Alec, Tony and Fred Rudinsky and sister Mary Rudinsky.